I like it when scientists use top-flight technology to do cute little things. 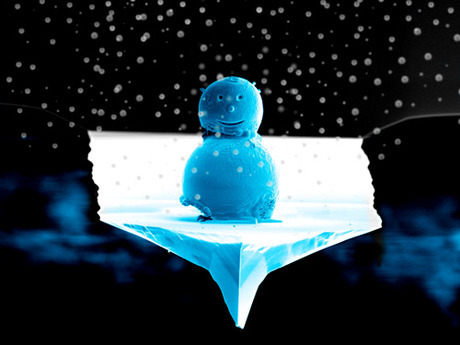 So was pretty pleased to see this cute ickle snowman created by the National Physical Laboratory – which at a slender 0.01mm wide is probably the smallest snowman in existence. It’s approximately a fifth the width of a human hair. Disappointingly, it’s actually made of tin beads rather than snow. Still, it’s real pretty. 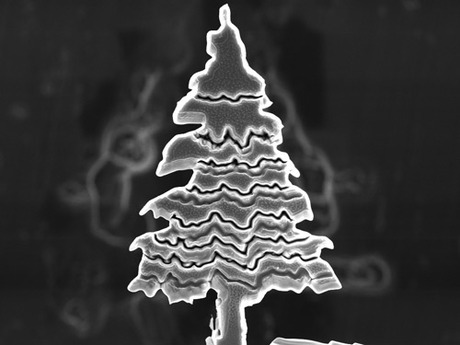 This tree sculpture came from a slab of silicon of the type used to make computer chips and was carved into shape using an ion beam.